"KFC Limited" is your one-stop shop for such diverse goods as the "Finger Lickin' Good Necklace" and the "TechniColonel T-Shirt." Colonel Sanders may be best known for his chicken and for his Mother's Day romance novels, but he is stepping out of KFC and into the world of apparel and luxury goods. 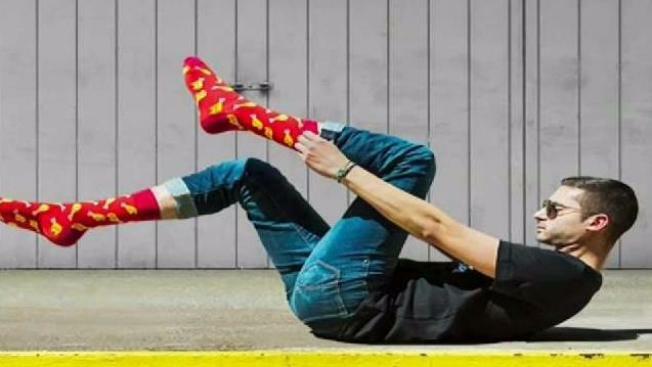 Need some "Fried Chicken Socks?" How about a "Finger Lickin' Good Necklace?" Or perhaps a shirt that lets everyone know you're the "World's No. 1 Chicken Salesman?" "KFC Ltd." is your one-stop shop for all this and more. You can even get a good night sleep with the "Dream Colonel Pillowcase." As the website notes, "It's important to have a dream. And if your dream is to have a bunch of dreams while lying face-to-face with a Colonel whose dream of building a fried chicken empire actually came true, well then, you're in luck." And if you have some disposable income, you can pay the astronomical price of $20,000 for a "Zinger Meteorite": a "real, space-made meteorite from space" shaped like a Zinger chicken sandwich. It is made from "iron and other space stuff" and is "not for human consumption." Colonel Sanders is continuing to build his resume this year after penning "Tender Wings of Desire," a romance novella that was offered for free ahead of Mother's Day.